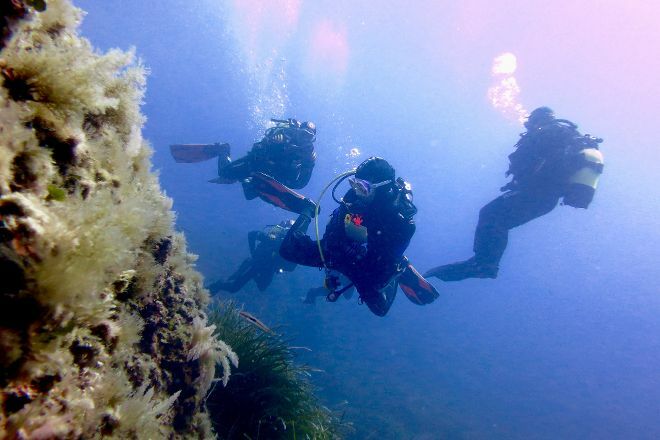 Become an underwater explorer with Soller Divers, offering lessons and activities suitable for both novice diving enthusiasts and old pros. Adventurers with experience can join tours to dive sites frequented by octopuses, barracudas, and other sea life. To discover rich marine life without complicated diving equipment, choose a snorkeling trip supervised by a certified instructor. If you'd rather stay dry, hop on a boat tour of one of the area's caves, filled with interesting rock formations. Check the website for special tours, including night dives and dive safaris. Take a look at our Port de Soller online journey planner to schedule your visit to Soller Divers and learn about what else to see and do during your holiday. Excellent dive with Soller Divers. Had refresher followed by two enjoyable dives. Sandra was my instructor - perfect English, incredibly patient and very friendly. Rest of the team were really nice too. Thank you Sandra for all you help and advice. Strongly recommend Soller Divers and hope to dive again with them on a future holiday to Soller. The one and only Place to dive in Soller. Awesome and experienced Team, good Equipment and Perfect Spots! The dive with Soller Divers was great! Friendly and professional people. Had a great time with the family on the discover scuba course. The ride out on the Rib to a sheltered bay was fantastic, the instructors were friendly and helpful and the sea beautifully clear. A great family activety. Every day, we help thousands of travelers plan great vacations. Here are some tips on how to use your Listing Page to attract more travelers to your business - Soller Divers. Promote your permanent link - https://www.inspirock.com/spain/port-de-soller/soller-divers-a9318770449 - on your website, your blog, and social media. When a traveler builds a plan from this page, the itinerary automatically includes Soller Divers. This is a great way for travelers looking for a great vacation in your city or country to also experience Soller Divers. Promoting your link also lets your audience know that you are featured on a rapidly growing travel site. In addition, the more this page is used, the more we will promote Soller Divers to other Inspirock users. For best results, use the customized Trip Planning Widget for Soller Divers on your website. It has all the advantages mentioned above, plus users to your site can conveniently access it directly on your site. Visitors to your site will appreciate you offering them help with planning their vacation. Setting this up takes just a few minutes - Click here for instructions.